The terms discussed here are two that are frequently confused, mixed around or used interchangeably, when in fact they both refer to very specific kinds of documents.Getting these two types of diagram confused will probably just lead to you being corrected by someone with more experience in the construction industry, but there is the potential for large problems to arise if you are not careful. When discussing floor plans and building plans, the biggest thing that seems to confuse people is that they both show the internal layout of the building from a birds eye view. This can, quite understandably, cause an onlooker to not realise there is a difference or simply assume they are looking at one or the other, especially when companies such as V Mark Survey tend to produce both, often adding to the confusion if you already weren’t sure. Once you understand that the real differences lay within the specific information provided by each then you should be able to avoid confusion moving forwards. After all, the devil, as they say, is in the detail. The main purpose of producing accurate measured floor plans is to be able to understand how the various spaces within a structure will link together and how people will be able to flow between them. 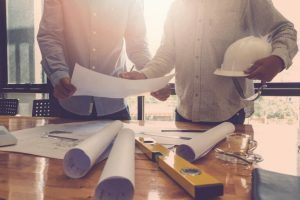 This means that although floor plans should be accurately measured and produced to scale, they will not contain enough information to allow a builder to work from them with any degree of certainty. Instead, they will help architectects and consumers to better understand how a building is linked together, or how a large space can be broken down to provide a safe flow of people in a convention for example. 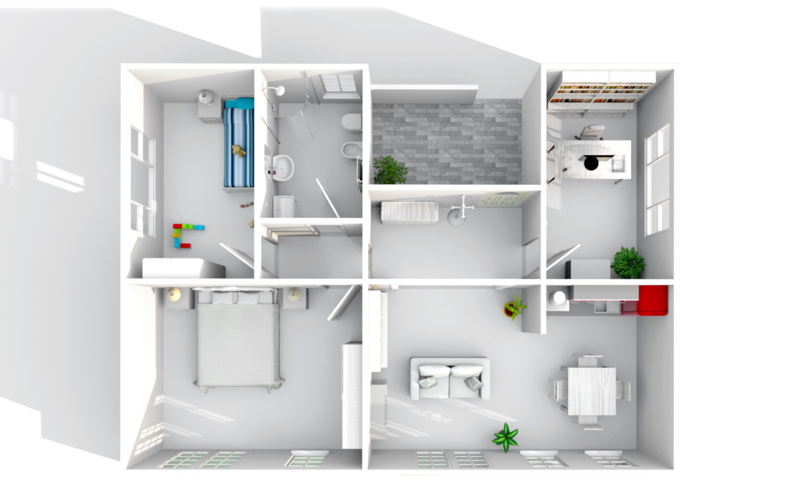 Floor plans are almost always used by Real Estate agents to demonstrate the layout of a property they are seeking to sell, as they provide a good representation for potential buyers without bogging them down with unnecessary information. Building plans on the other hand, should be highly details and contain information on every aspect of the building in question. When you see blueprints for a building being discussed on television, this is essentially a building plan for whatever structure they are talking about. Every part of the building’s composition, support structure as well as the layout will be detailed on building plans so as to provide construction workers with informative and accurate instructions on how to proceed. Something which would not be possible with mere floor plans. It should be apparent that although these two documents appear initially similar, they do in fact serve very different purposes and the terms should be treated as such. If you ask your Real Estate agent for building plans, then you are either going to confuse each other or incur a large expense in having them drawn up unnecessarily. 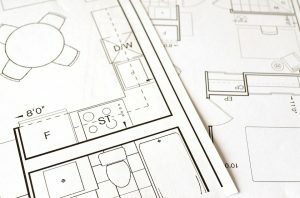 At the same time, providing your construction firm with floor plans will simply get you nowhere, so understanding these two terms is pretty basic, but very worthwhile.